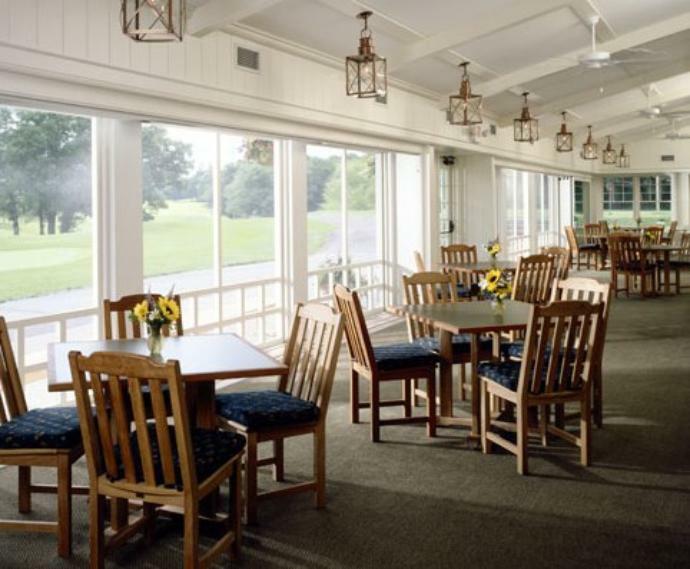 Illustrated above are our colonial hanging lanterns HW103 lanterns specified by Yunker Associates Architects in a lounge setting at the White Bear Yacht and Country Golf Club in St. Paul Minnesota. 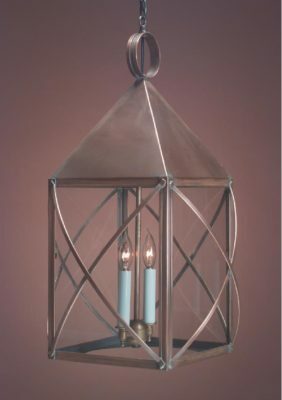 Lighting by Hammerworks handcrafted Colonial Hanging Copper Lantern HW104 is part of the “Williams Collection”. Therefore you can pair it with a Colonial Reproduction Wall Lantern W104 and / or the Colonial Post Light PW103 for a coordinated design. Just as with the Colonial Post & Wall Lights we make Colonial Hanging Lights out of solid copper or brass. Furthermore we offer custom finish options of painted black and verdigris copper upon request. At Hammerworks you will find many options for overhead lighting. Thus if you have an area with a low ceiling you can easily add our rustic Colonial Ceiling Lights. Yet we also offer Colonial Style Hanging Lanterns in a variety of traditional and formal styles. Therefore our Colonial Pendant Light H112 or Colonial Copper Hanging Lantern H212 are perfect choices for a classic traditional home. 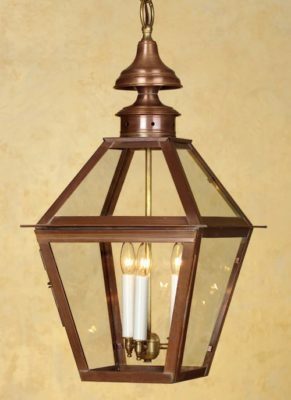 If you prefer a more formal look, the Colonial Style Hanging Lantern H105 is an ideal choice. As a result there is a design that is perfect for your home. Most importantly no matter the style you prefer you will always find a Colonial Hanging Copper Lantern to coordinate with corresponding Post & Colonial Wall Lanterns. Therefore it is easy to create a uniform look. From a Colonial Boston Post Lantern to a classic New England Wall Lantern, you will always find the right style to complement any of our Colonial Pendant Lighting. 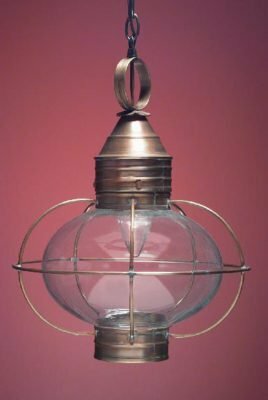 While we offer a complete line of Colonial Post Lanterns, wall & hanging lights, our styles don’t stop there. We also create a collection of Craftsman Style fixtures. Of course our Arts & Crafts Lighting is also handcrafted. We include coordinating hanging, wall and post mount fixtures. Whether you own a reproduction Early American Colonial, New England Farmhouse, Cape Cod, Classic Williamsburg or Craftsman Style we have a lighting collection for you.